Over the last few weeks I have been using the MIO Alpha heart rate sports watch (no body strap needed) to monitor my training progress and prevent burnout. Now like many athletes you have probably read alot on using your heart rate to workout in dedicated ‘zones’ – to maximize aerobic fitness/lactate threshold/fat burning etc (and we will touch on that in the next few weeks) – so I wanted to touch on gauging the onset of fatigue instead. After all we have had those sessions where we feel strong, confident and get dropped by the brunch 20km up the road. Your heart rate can be used as a marker for training status – as described in Variation in heart rate during submaximal exercise: implications for monitoring training – and by taking heart rate averages from two minute intervals within the 90% of maximal heart rate range, 4 times daily over five consecutive days (as this study did) you can bring to build a picture on your body’s response to the training load. A large variation in heart rate occurs as you begin to experience training fatigue but also a result of heat, humidity and dehydration. Of course this heart rate monitoring requires discipline, but with a bit of background reading you can start to make use of the random numbers and prevent your fitness schedule being hampered by training burnout or even illness. If you are smashing out epic 4 hour Sunday club rides but then taking 5 to 6 days to recover, your training isn’t going anywhere [mind you don’t be a wimp at training!]. I was a serial over-trainer for years and as a consequent I suffered alot of injuries and had many lackluster performances. By either moderating the number of weekly session or focusing the intensity of my scheduled training, I am riding faster and stronger than ever – 336w is my average FTP power compared with 260 only a few months ago. Your heart rate is a valuable training tool that not only helps you maintain pace, but also provides feedback on your current level of fatigue and overall training status. By monitoring ‘your numbers’ at the 90% zone but also at rest [first thing in the morning is best] you can start to see how your fitness is improving and any signs of fatigue. The measurement of heart rate variability (HRV) has often been considered a convenient non-invasive assessment tool for monitoring individual adaptation to training in well-trained athletes. Measures of resting, exercise, and recovery heart rate are receiving increasing interest for monitoring fatigue, fitness and endurance performance responses, which has direct implications for adjusting training load (1) daily during specific training blocks and (2) throughout the competitive season. 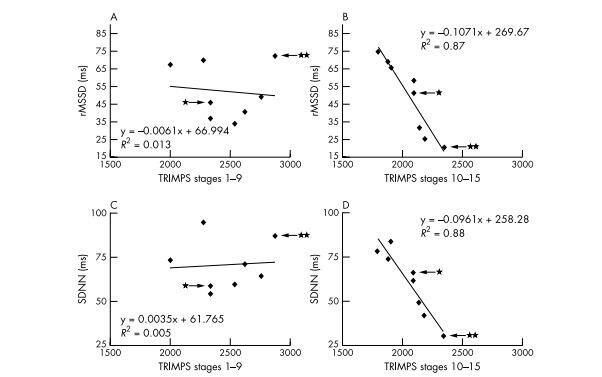 Decreases and increases in vagal-derived indices of HRV (basically the ‘vagal tone’ refers to the activity of the vagus nerve, which regulates the homeostasis (or “resting state”) of the majority of the body’s internal organ systems) have been suggested to indicate negative and positive adaptations, respectively, to endurance training regimens. 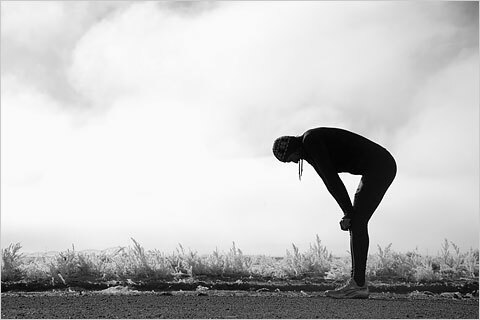 Check out the IRONMAN article – How tired is too tired? In fact, the sports science literature is now building up its investigation of the technique in elite athletes – see 2013 study if you fancy yourself as a bit of a hotshot – and specifically for competition like triathlon (2012 study). Indeed the latter study demonstrated that when one athlete performed poorly in a key triathlon event, and was diagnosed as non-functionally over-reached (NFOR), he subsequently had reactivated the dormant virus herpes zoster (shingles). It appears that one of the ‘markers’ for onset of fatigue is ‘shifts and scatters in heart rate variability’ – at least in elite athletes and this can prove to be a good training load indication for athletes undertaken hard schedules; so heart rate training isn’t just talking about zones in the session. Tells me off for beasting myself too much…. The technique is basically magic. However I should point out – as reference in the review Monitoring training status with HR measures: do all roads lead to Rome? – ‘measures of heart rate cannot inform on all aspects of wellness, fatigue, and performance, so their use in combination with daily training logs, psychometric questionnaires and non-invasive, cost-effective performance tests such as a counter movement jump may offer a complete solution to monitor training status in athletes participating in aerobic-oriented sports’. So there you have it – using your heart rate can predict the onset of fatigue and it is an extremely useful way to schedule your training load. 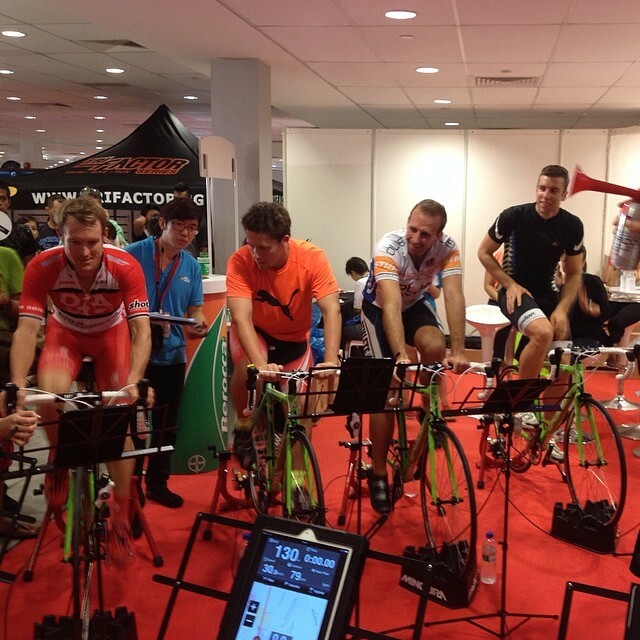 Now I am off to get ready for the competitive 60km road racing in OCBC Cycle Singapore – 3am alarm clock! 1. ‘From these results, there seems to be little between HRV and exercise volume during stages 1–9. However, strong inverse correlations are observed between HRV and exercise volume and intensity in stages 10–15. One of the most distinguishing features between these two periods is the average TRIMPS/day accumulated by the riders. Even though each rider rode a greater distance and accumulated more TRIMPS in stages 1–9 than in stages 10–15, it is notable that more TRIMPS/day were accumulated during the second time period. Overall, however, we suggest that the HRV alterations observed are due to the cumulative physical effort over all 15 stages of racing’ – i.e HRV began to appear, even in elite athletes, as fatigue set in. 2. This pattern is observed by examining the HRV response of a team leader and domestique in figs 1 and 2: a decrease in HRV is observed for the domestique after 15 stages of racing, whereas there is little change in the HRV values of the team leader – As shown by the graph to the left (* – team leader, ** – domestique). Of course this is in 2001 when drugs were rampant in cycling, and it may suggest high levels of doping in the top cyclists. I must do a bit more research but could HRV been used as an indication of doping alongside other methods? Interesting right? If you like reading about endurance sport training and the science behind it, plus some random articles on badass events & athletes (talking to a World Champ about an exclusive article ATM but shush!) why not sign up to our newsletter – HERE Comes out only about 2 a month – no-one likes SPAM! and I only send it out when we have some really top, new articles on the blog! Let me know if you have any feedback below, much appreciated. i – OS 5 app builders in advance.